"I am thankful for all the blessings in my life including the blessing of customers that have kept us in business since 1996. We know if our top priority is to take care of the customer, the customer will take care of us. We have found that in putting others first our business has prospered, as well as enriched our lives. It would be our privilege to have you as a customer!" –Jim Forquer Sr.
We operate with State License #19797 and hold over $1 million in liability insurance coverage. 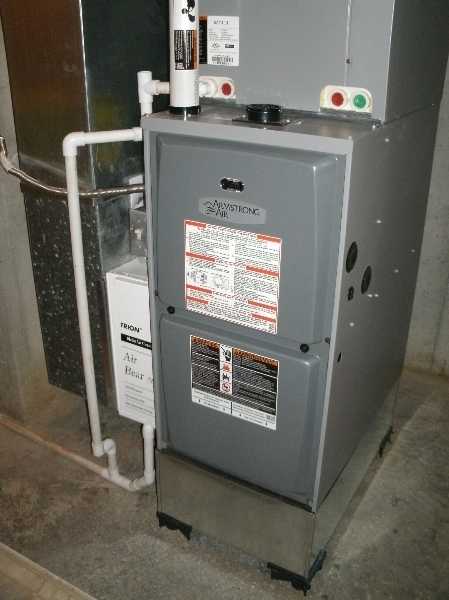 You are safe with Forquer Heating and Air, Inc.
We have over 40 years of combined experience on staff. This isn't our first rodeo! We are proud to be an Armstrong authorized dealer. We pull a full vacuum on all installations to ensure against leaks and moisture in the system - this provides a prolonged system life. We regularly support Akron's Ministries and Feed the Children Ministries. Our employees are factory trained. Our employees have been background-checked and are randomly drug-tested. Our employees are trained in customer relations and home care. Our employees, when handling refrigerant, are certified by the Environmental Protection Agency. We accept all forms of payment: cash, check, most major credit cards, and our easy-to-get financing. We are A+ Rated with both Angie's List and the Better Business Bureau - Let us show you why! Here at Forquer Heating and Air, Inc we hold fast to our values. We at Forquer Heating and Air, Inc strongly believe in doing everything possible to ensure the customer's satisfaction. 1. Maintaining and consistently improving our superior response time to breakdowns. 2. Thoroughly explaining the issue with the system and ways to help prevent the issue from returning. We want you to have all the facts, and we want to share our knowledge. 3. Keeping our employees satisfied with our friendly, laid-back, and fair atmosphere. Our employees are like family. Our core services: We offer a wide variety of services at Forquer Heating and Air, Inc.: Design, Fabrication, Installation, Service of Heating & Air Conditioning, Indoor Air Quality, Ventilation, and Temperature/ Humidity Control expertise. Our core strengths: We pride ourselves in our strengths. Our team is full of experienced technicians that strive for excellence. We are trustworthy, loyal, and take pride in our reputation. The quality of our workmanship cannot be beat. Our team works great together in combining multi-trade capabilities, knowledge, and commitment to innovation. We believe in success for our Employees. This means we offer fair compensation, security in the workplace, trust in your employer, recognition in the community, and a postive atmosphere. We want our employees to wake up everyday being proud and excited to work for Forquer Heating and Air, Inc.
We also believe in success for our Customers. We provide you with quality, competitive pricing. We are someone you can trust, and believe our customer's are our partners. Furthermore, we accept the challenge of meeting even the most unique requirements. Forquer Heating and Air Conditioning Inc. began business in January of 1996. Jim Forquer Sr. began the business while still teaching HVAC at the former West Side Institute in Cleveland, Ohio. It was soon after that Jim found business picking up with the new company and decided to leave West Side Institute and focus solely on Forquer Heating and Air Conditioning. 18 years later, Forquer Heating and Air Conditioning remains a family business. Jim’s wife, Madonna, and son, Jim Jr. run the business and administrative end, while Jim Sr. and his group of dedicated and well qualified technicians and installers provide our customers with professional and friendly service. 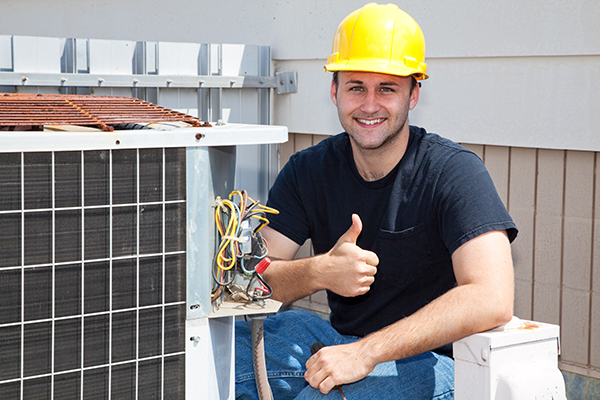 Forquer Heating and Air Conditioning’s first priority is customer satisfaction. Although we are looking forward to growing our business, the majority of our business comes from repeat customers. Thank you for visiting our website and we look forward to working with you! Choose Forquer Heating and Air, Inc for your next project! Whether you have a general question about our services or have a Heating or Air Conditioning need, please fill out our form and we will contact you ASAP.